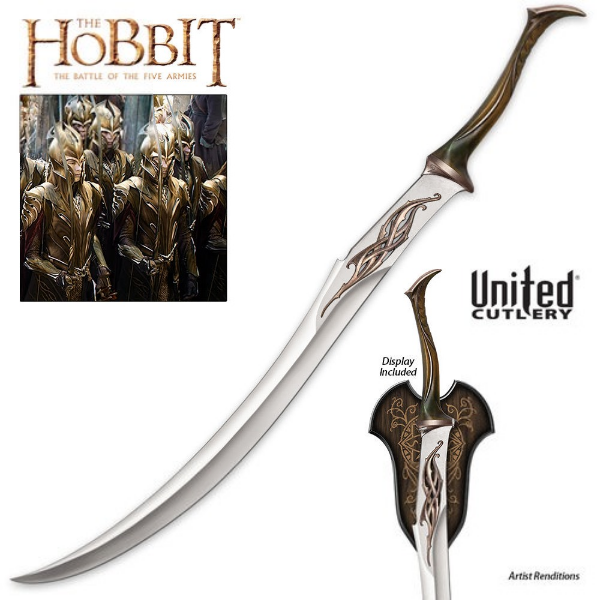 Inspired by The Hobbit, the immortal work by J.R.R. 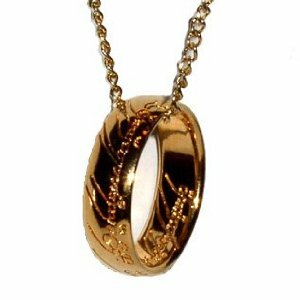 Tolkien, comes the Arkenstone of Thrain, created and treasured by the Dwarven Longbeards clan of the Lonely Mountain. The Arkenstone was described by Thorin Oakenshield as "a globe with a thousand facets; it shone like silver in the firelight, like water in the sun, like snow under the stars, like rain upon the Moon!". When Bilbo Baggins discovered the Arkenstone on the top of Smaug's treasure horde, "it was tinged with a flickering sparkle of many colours at the surface." The stone filled his tiny Hobbit hand, yet he was able to secret The Arkenstone away in his deepest pockets. 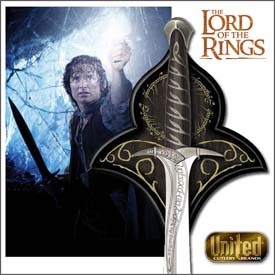 The Arkenstone replica is made from fine K9 Crystal which has been treated with an Aurora Borealis plating, giving the the orb a magical glow. The stone exhibits a variety of color depending on what type light its under. 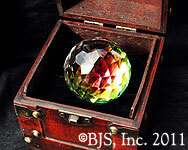 The Arkenstone replica comes nestled on a black velvet pillow inside a Dwarven crafted wooden treasure chest. The runes stamped on the name plate on top of the chest read Arkenstone, written in the same Dwarvish runes found on Thorin's Map. 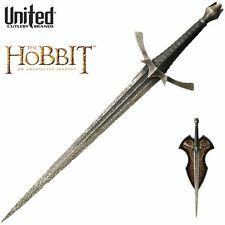 The Arkenstone measures approximately 59 mm (2 5/16") in diameter - big enough to fill a Hobbit hand, but small enough to hide in a deep pocket. The chest measures approximately 4 1/8" long, 4 1/8" wide by 4" tall (104.3 mm x 106 mm x 100 mm). The Arkenstone replica and Dwarven treasure chest weigh just over 1 pound. (approximately 18 oz.). The Arkenstone replica comes in a wooden treasure chest with Dwarvish runes with a Card of Authenticity.